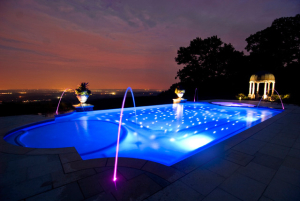 We have been building and servicing pools for over 20 years to residents and businesses of Newport, Jamestown, Middletown, Portsmouth, Tiverton, Little Compton, and beyond. 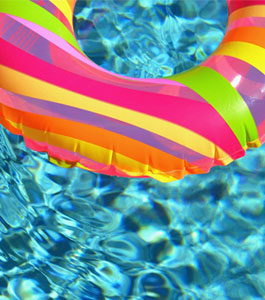 Just like our customers, we know the importance a pool has on our everyday lives. Holiday parties, family get togethers, or just a casual Sunday afternoon cookout can all be centered around a dream poolside landscape right in your own backyard. Here at Aquidneck Pools & Spas, we want to help you create that centerpiece to memories that will last a lifetime. Whether you want to build new or renovate your existing pool, our staff has the expertise to get it all done. Stop in or give us a call and we’ll work with you to design and plan out your future dream backyard landscape. 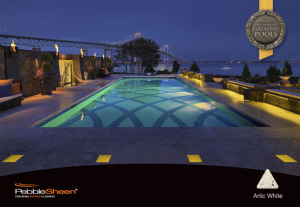 We have specialized in custom inground gunite pools for almost 20 years. We know that each customer’s needs are different, and that is why we sit down with each customer and discuss options to find a perfect fit for their needs. You can choose from standard shapes and sizes such as a 16’x32’ rectangle or we can find a shape to fit your yard. 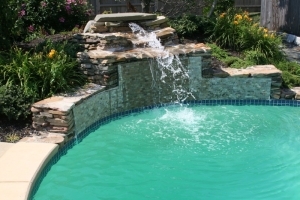 Gunite pools are different from other kinds of pools. The gunite is sprayed, which means we can make any shape or any size you can think of We have even built a pool in the shape of a goldfish!